Fall head-over-heels with this season's hottest trends. This season, it's all about colour and decades of styles. Look towards the 40s and 70s as sources of inspiration, but with a modern and tailored twist. With little of what's left of summer, don't stash away your bright clothes yet. 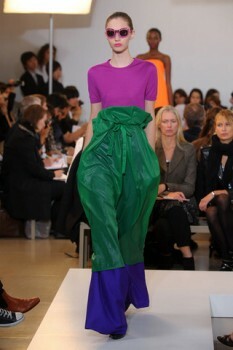 Fall 2011 is venturing into uncharted territory, with vibrant hues shaping much of designers' collections. Clearly, this season is all about colour. Also known as London's epicenter of fashion, the hip vibe of Carnaby Street was channeled by Bottega Veneta and Alberta Ferretti for its explosion of graphic colours and hip style. 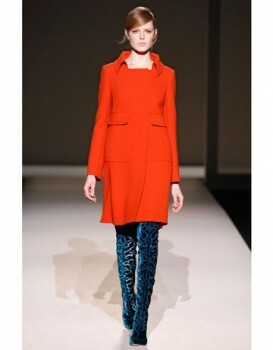 Sport monochromatic hues and slim silhouettes (think Twiggy's iconic shift dress). To keep the look modern, stick to neutrals while adding pops of yellow, blue, and red like this. Top it all off with a pair of heels à la Lauren Conrad or a pair of flats, for simplicity. From romantic and demure at Valentino to edgy and powerful at Prabal Gurung, lace takes on a whole new meaning this season. Delicate fabrics were intensified by heavy prints and graphics, while an overlay of lace, softened its harshness. To keep the look sophisticated, opt for romanticism by donning a lace skirt (pictured above) with a chiffon or satin top. Or mix it up with a lace top and pair it with a cinched pencil skirt. 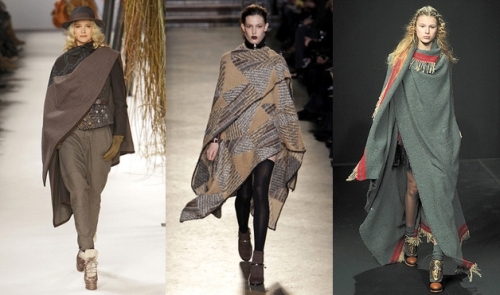 Kenzo, Missoni, and Wunderkind F/W 2011. Photo courtesy of ELLE.